Remember the Rilakkuma cookies tutorial I shared before? You can click HERE to check out that post if you missed it. 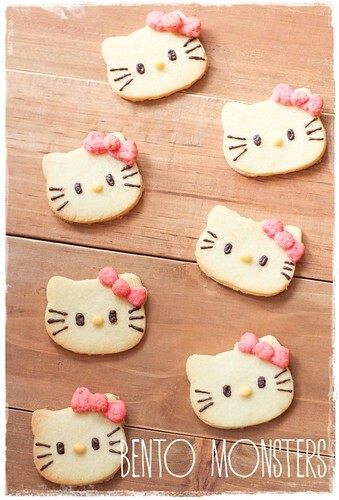 The Hello Kitty cookies I am sharing today were made on that same day. 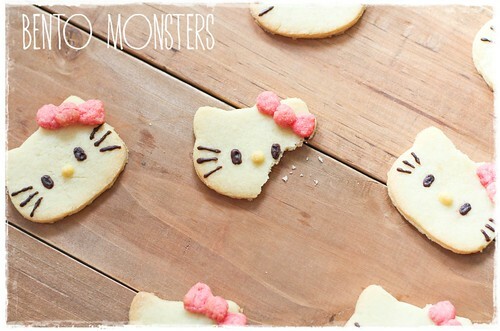 I used a Hello Kitty cookie cutter to cut the outline. The basic dough is the same as the Rilakkuma cookies, just substitute the cocoa powder with the same amount of plain flour, and colour two small portion of dough with yellow and pink gel colours. The eyes and whiskers were added on after baking, using melted chocolate. I still have another cookie design from that batch to share, will update in another post next time. 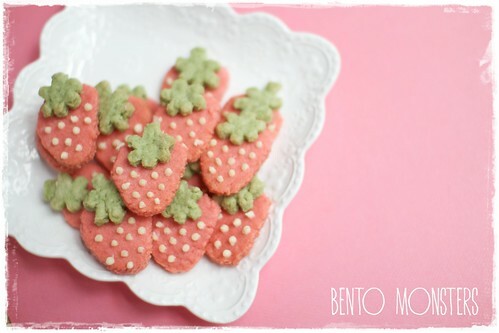 These strawberry cookies were made last year but I forgot to share them. I found them in my draft folder, so I thought I'll include them in the post as well. The recipe for this is also the same as the Rilakkuma cookie dough. The cookies were cut out using a knife, I'll share more about how to do this when I update my next cookie design. Yes, I used a built in oven, came with the house so we don't get to choose. Sorry, don't know which brand to recommend though, as I've not really research on which brands are better. 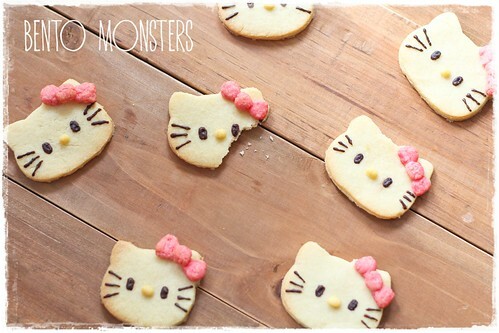 The Hello Kitty cookies are so adorable! 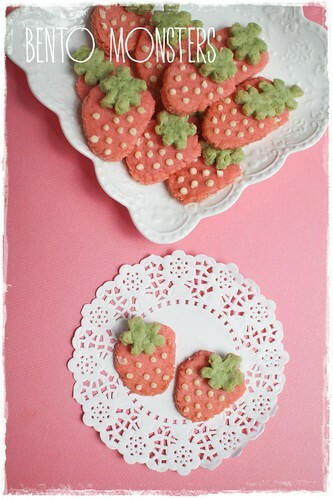 My kids simply love sugar cookies, and these look yummy! Love them both! super cute! thanks for sharing!